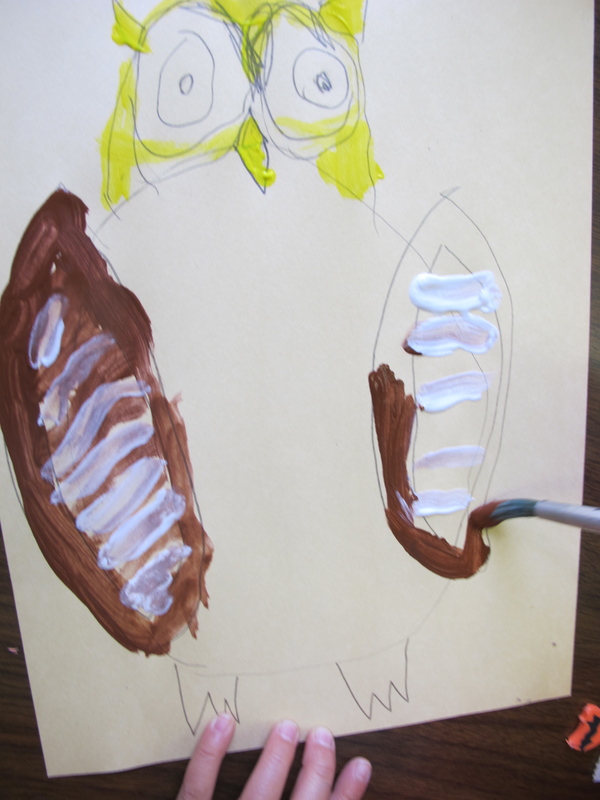 Our art project this week was all about owls! 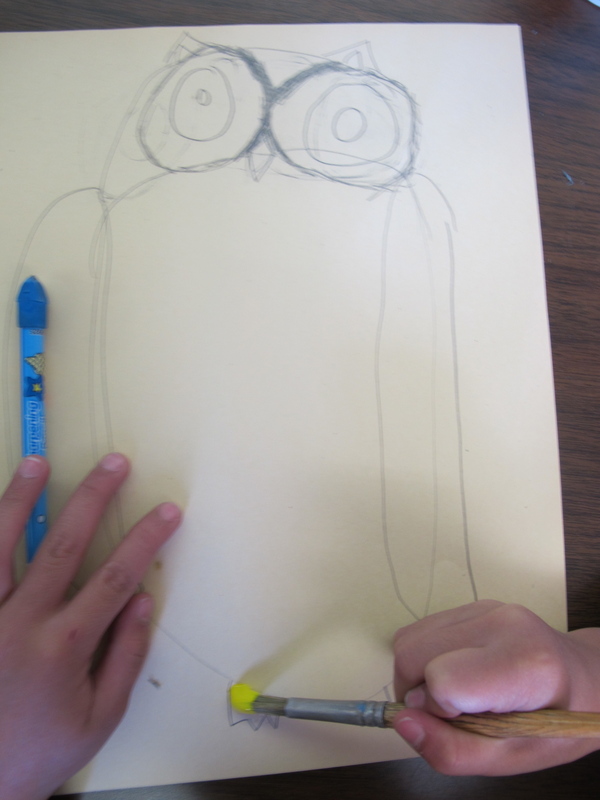 We have decided to fill our classroom with gorgeous owl art so that wise old owls can perch up on our bulletin boards and look down at us learning and growing wiser each day! Kind of a wisdom every where you look scenario! 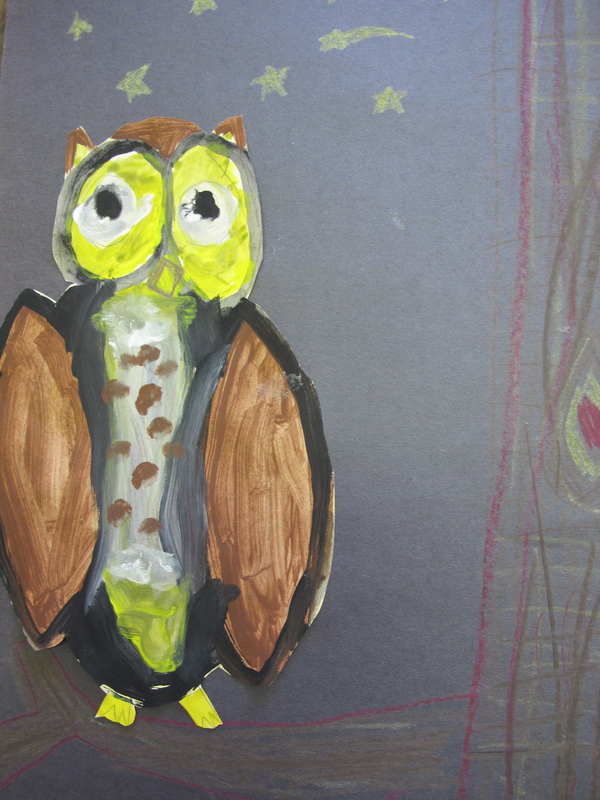 I got the idea for this art project on the wonderful art blog Deep Space Sparkle in a post that highlighted a number of owl inspired art projects. 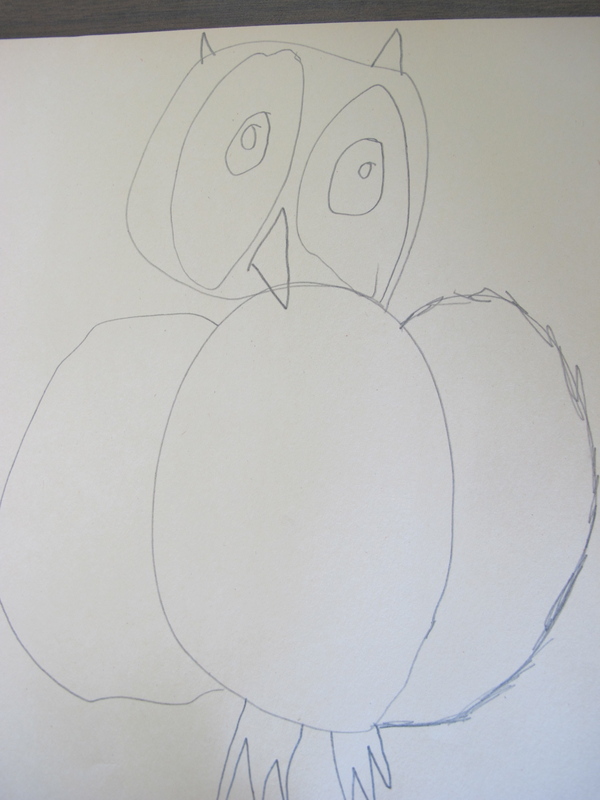 I love how each owl had personality just in a pencil drawing! 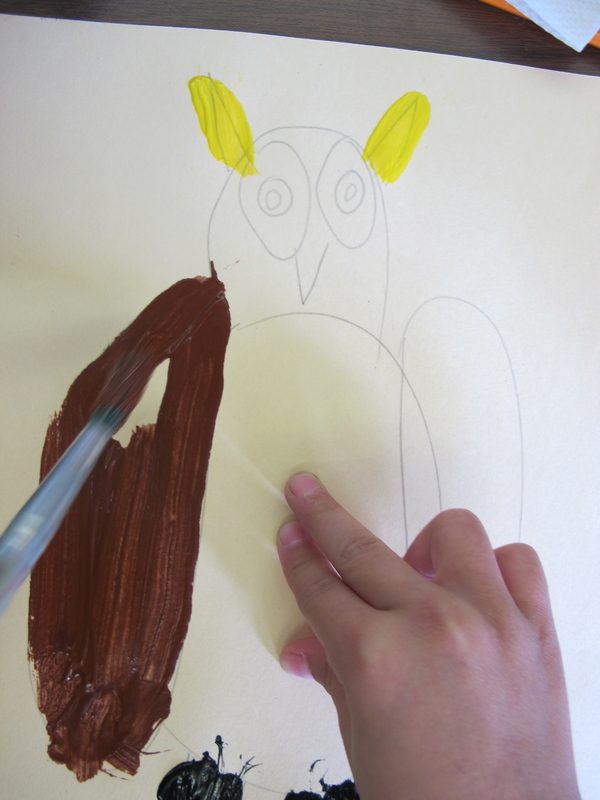 Step 2: We began painting using just these colours: white, yellow, brown and black. Students added spots and stripes and played with blending colours. 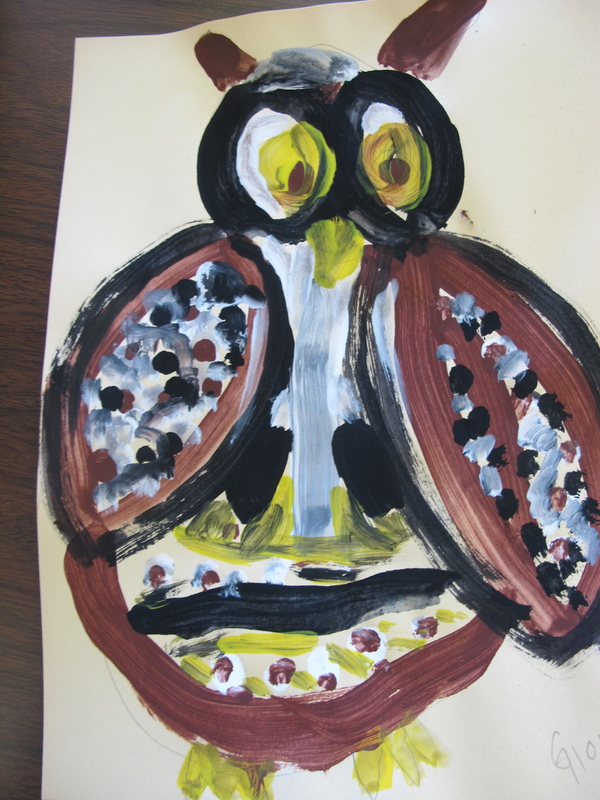 Fully painted owls looked striking! Details on the wings look like multicoloured feathers. 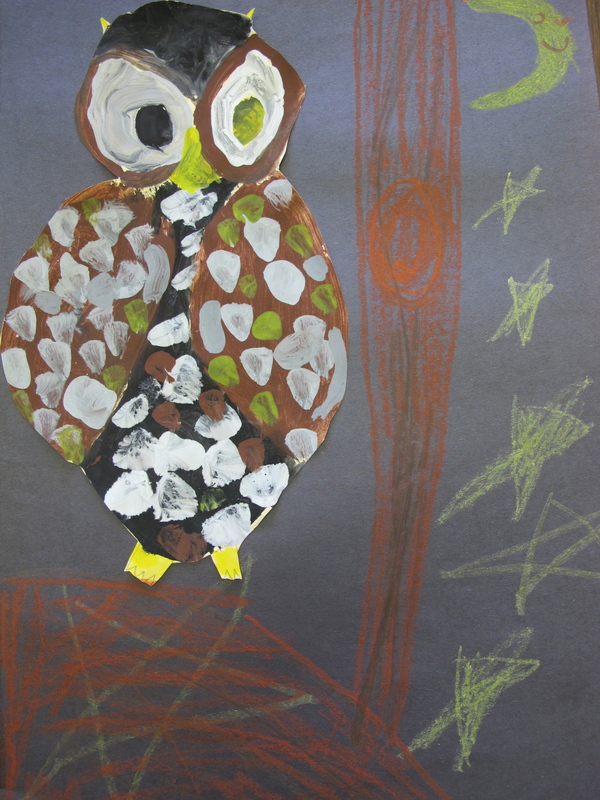 Step 4: On black construction paper we drew a tree trunk and branch, stars and a moon (if desired) and attached our owl into the scene. We only used yellow, brown, black and red/orange oil pastels for our backdrop. 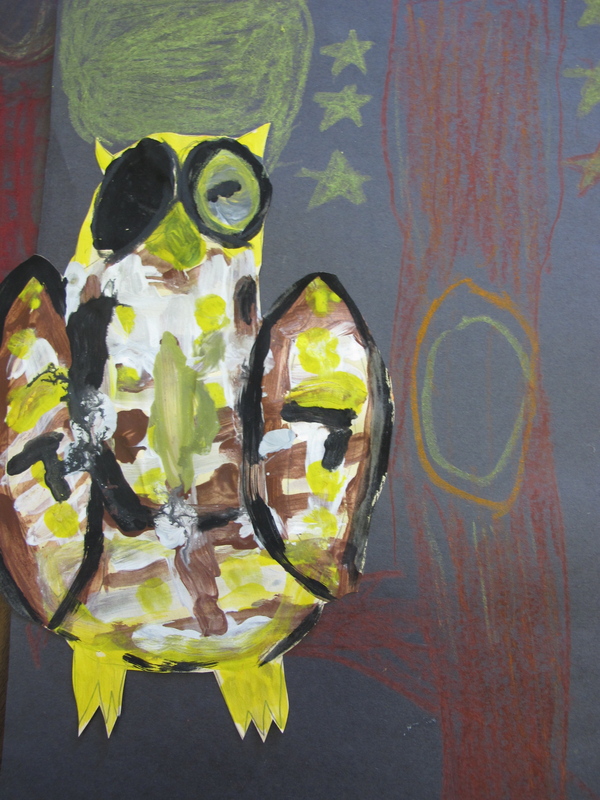 Wishing everyone a very wise fall in their classrooms! 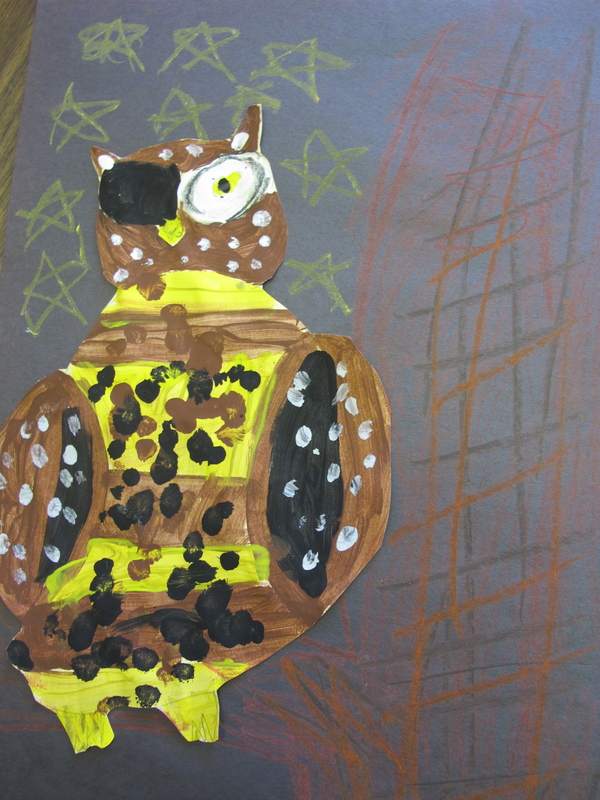 This entry was posted in Art and tagged art, Deep Space Sparkle, nature, owls by carriegelson. Bookmark the permalink.